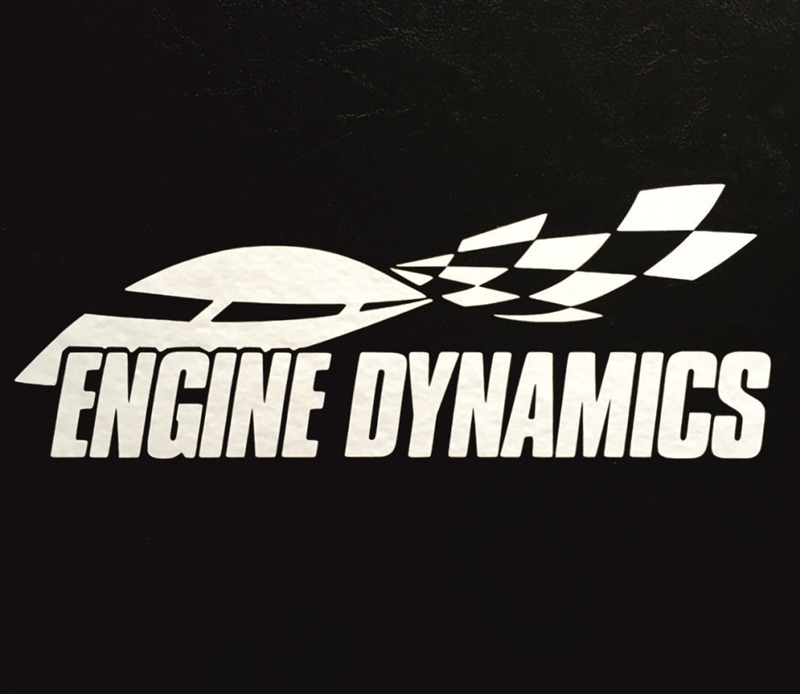 Engine Dynamics Logo Vinyl Stickers available in White, Black or Silver. Give your car that extra performance edge with one our vinyl graphics. Available in Black or White for external applications or Silver or White (reversed) for internal applications on windows. Please select from the options. As a guide the white (reversed) stickers are aimed at darker tinted glass and the silver (reversed) stickers for glass with low or no tint. For those wanting custom colours or sizes, please contact us with your requirements.